You are here: Home / Sir Jason Winters Blog / Exploring Herbs: What’s In Our Supplements? Jason Winters International offers a variety of herbal supplements, each of which was created specifically by Sir Jason Winters himself, and developed to help people reduce their deficiencies of important vitamins. 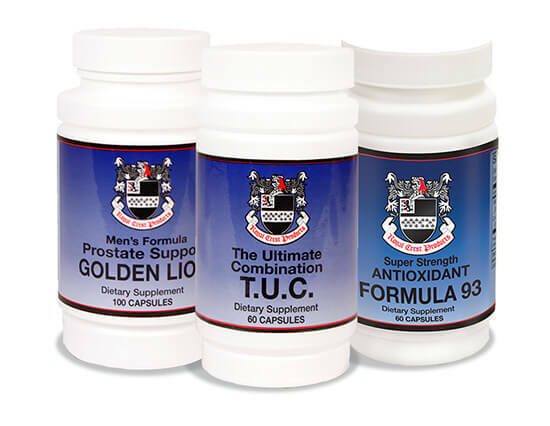 We wanted to feature some of the herbs in our Golden Lion, Formula 93 and The Ultimate Combination supplements to give a better idea of what the herbs do and how they help orchestrate a larger positive impact on the body. Below are some of the herbs featured in our blends. You just might find that one of these is exactly what you’re looking for! Burdock is a root that has often been used for medicinal reasons. We feature this herb in our capsules that we call “The Ultimate Combination“, or TUC. TUC provides you with some of the strongest, and healthiest, herbs out there – all in one capsule. There are dozens of potential benefits to including burdock in your diet. Common uses for burdock include fighting bacteria. Some people use it to treat acne or inflammation, but these effects will vary from person to person. One thing that’s for sure is that burdock is an excellent source of potassium, vitamin C and vitamin E. Also, burdock is stuffed with inulin, a helpful polysaccharide that helps “clean” blood. Inulin is used to reduce blood sugar and cholesterol levels. 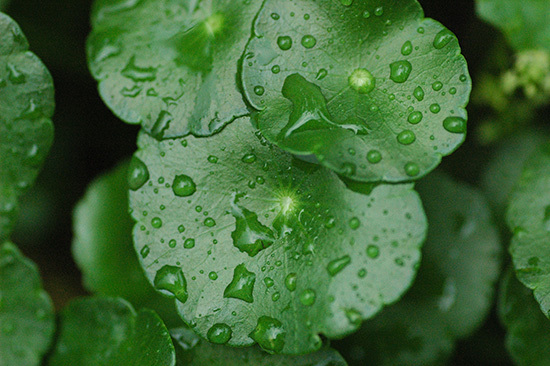 There are plenty of different names for this herb, but Gotu Kola tends to be the most common. It’s been used for centuries to treat infections, and it’s been used recently to fight diseases and illnesses such as the flu, the cold, tuberculosis and more. It’s just one part of Jason Winters “The Ultimate Combination.” We hope you enjoy the benefits of this herb as much as we do! Believed to aid with respiratory problems, the elecampane root is a natural solution to getting rid of microbes and fungus, some of the things that could be causing you to cough. It also has a soothing effect, bound to make you feel even better throughout the day. If you have a bad cough, elecampane root might be the herb to use. You can find it in our TUC supplement, along with many other healing herbs. 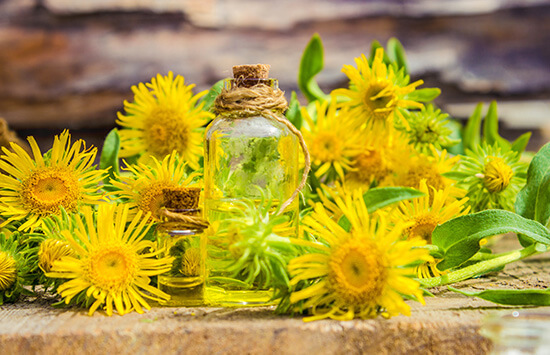 Fun fact: elecampane’s classification is inula helenium, named after Helen of Troy who was said to carry the plant with her! Ginseng is hard to find in a lot of foods, however, it’s an excellent herb that we wanted to make sure tea drinkers and supplement takers had access to, and it’s a main component in our Golden Lion supplement. Ginseng can do plenty for your body, including potential y reducing cholesterol and blood pressure. However, there are other reasons that ginseng is so popular. Sir Jason Winters included it in his Golden Lion supplement because ginseng can be a natural source of energy. 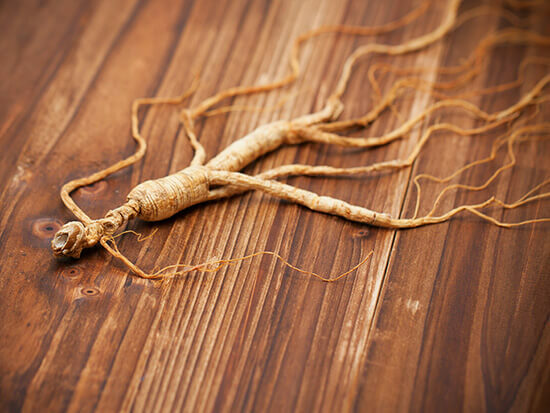 Historically, people have used ginseng to sharpen their mind and reduce fatigue. This is an incredible herb when it comes to energy, perfect for any guy who wants to get more out of their day. 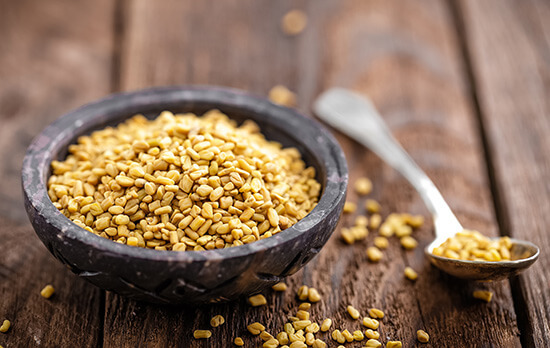 One of the greatest things about fenugreek is that it’s a bit of a superfood on its own. You can get tons of protein, fiber, iron, vitamin B6, magnesium and copper from just a little bit of the seed – a big reason it was added to our Golden Lion supplement. Fenugreek is most popular among men since it can help with problems specific to men, much like most of the herbs found in the Golden Lion supplement. It also can help regulate insulin levels for those with diabetes or lower blood sugar. A main component in the Jason Winters tea blends is sage, something which we’ve added to our Formula 93 supplement as well. You probably know sage for its distinct flavor and delicious tones when you’re preparing a tea or a meal. But there are plenty of other reasons to get excited about sage. While many of the herbs, vitamins and minerals in the Formula 93 are meant to cleanse your body, sage can help cleanse your mind as well. 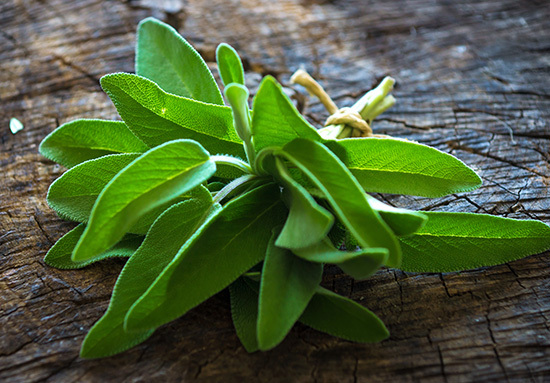 Historically, sage has been used to stimulate the brain and clarify thinking. Of course, sage also can release the free radicals in your body that you want to get rid of. It’s a do-everything type of herb that you definitely want to have! 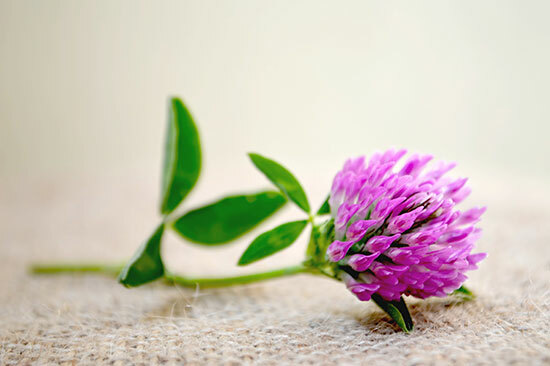 While there are many suspected health benefits of red clover, people like it because it’s just an awesome herb – both for your health and for flavor. We decided to include red clover in our Formula 93 supplement because it has so many small benefits. There’s some evidence that red clover can be used to treat a number ailments. It’s exciting to think about what red clover might be able to do. Red clover is stuffed full of vitamins and minerals, such as vitamin C, potassium, magnesium, calcium and more. These vitamins and minerals are proven to help keep your body strong and healthy, and they can help immensely with the detoxifying process. All three of these supplements are a propriety blend and are ONLY manufactured by Sir Jason Winters! We invite you to try these supplements today and take advantage of our biggest sale ever! Shop now.